With the news today that a contractor has been selected to build the Gold Line Foothill Extension, I wanted to post a few photos and drawings of the project. Please feel free to use on your own blog, website, etc! 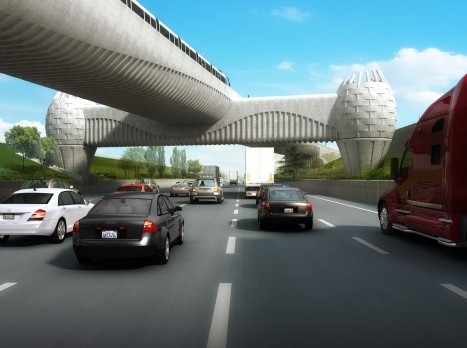 A rendering of the rail bridge to be built over the eastbound side of the 210 freeway in Arcadia. An aerial view of the bridge location. 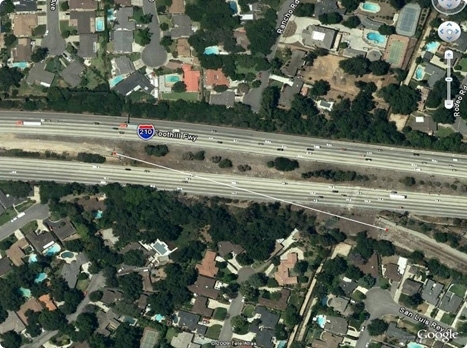 The bridge is needed to take the tracks from the freeway median to the south side of the road. 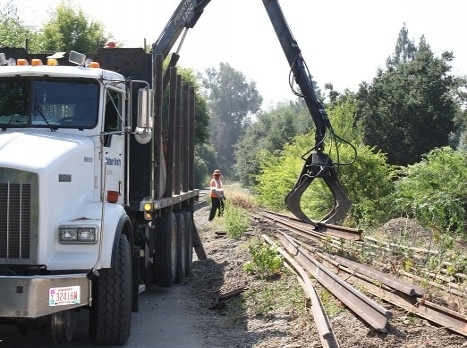 Work crews removing the old rails in Arcadia on the south side of the 210. 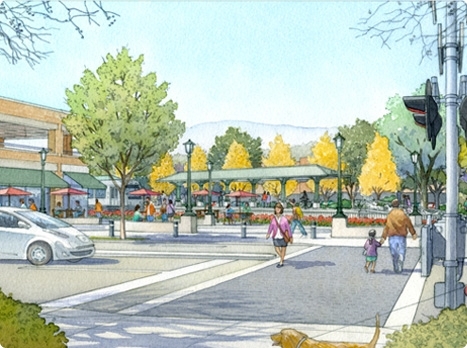 A rendering of the future Gold Line station in downtown Arcadia at the corner of 1st and Front. The old Santa Fe depot in Monrovia. New platforms for the Gold Line will be built to the west of the station. The city of Monrovia plans to use the old depot in a transit-oriented development planned for the site. 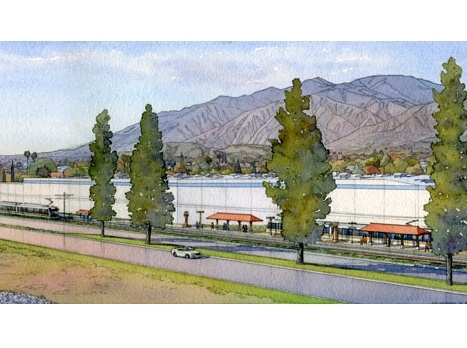 A rendering of the station in Duarte on Duarte Road — the City of Hope hospital is out of view on the near side of the photo. 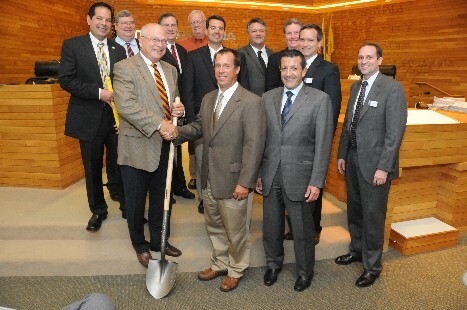 The Board of Directors of the Foothill Extension Construction Authority. The Authority’s CEO, Habib Balian, is in front on the right. The City of Hope hospital is out of view on teh near side? Teh near side huh? To put it another way, out of the frame and on the south side of Duarte Road. Good luck to the contractors! Uh, Steve, he was mentioning the type. You said ‘teh’ instead of ‘the’. I knew I shouldn’t have skipped my afternoon coffee — slow on the uptake today. Now it’s fixed!